On Sunday, September 13th, the supply warehouse for Kona Ice of Richmond caught fire and everything within the building was destroyed. This fire has completely shut down operations for Kona Ice while they try and recover from the loss. Kona Ice has been a cornerstone within the Central Virginia Community participating in fundraisers for swim teams, schools and other events. The outpouring of support for Kona Ice in the community has been a huge help in dealing with this tragic event. 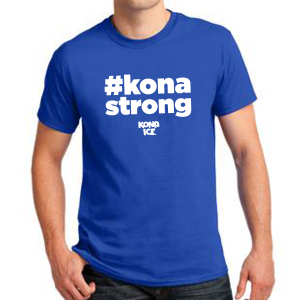 Kona Ice of Richmond has setup a Twitter site #konastrong to provide updates and communicate with Kona Ice fans. In an effort to support Kona Ice of Richmond, iBrand Sports has setup this fundraiser. This will provide an opportunity for the community to show its support during tough times and provide financial relief to a company that has given so much to our community. 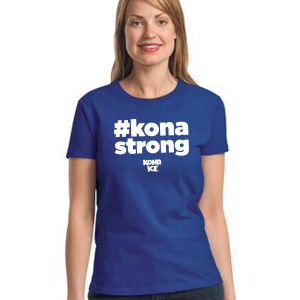 The deadline for #konastrong fundraiser orders is October 4th. All orders will be processed after October 4th with an estimated shipping date of October 16th. 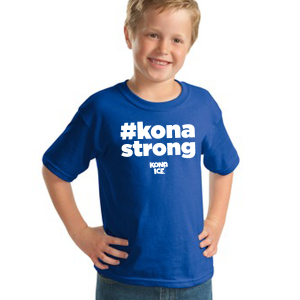 100% of the net proceeds from the sale will be given to Kona Ice of Richmond to assist with the recovery efforts. Gildan 100% Cotton T-shirt for maximum comfort.